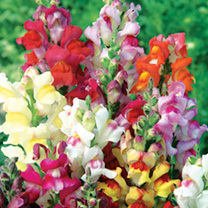 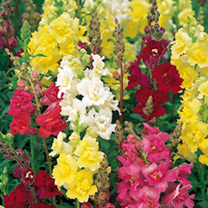 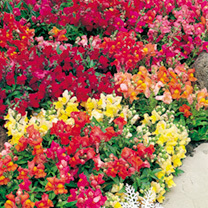 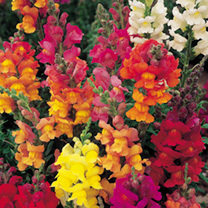 Available in 4 specific varieties (Dwarf – Ideal for Rockeries, Intermediate – ideal for cut flowers, Tall – for back of border and trailing – for hanging baskets) Antirrhinum more commonly known as snapdragons are a stunning addition to your garden giving you bright colourful flowers for your beds and borders. 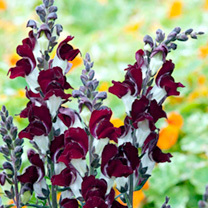 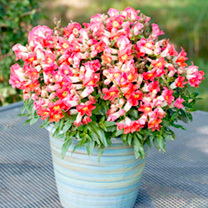 Antirrhinums are a half hardy perennial but are best grown as a half hardy annual. 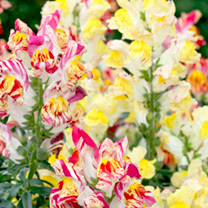 Sow your Antirrhinum seeds January to May under glass in gentle heat for flowers July-October or Sow July to September in a cold frame for planting the following spring. 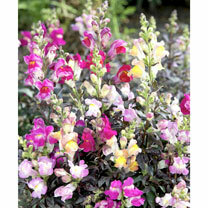 Antirrhinum seeds should germinate within 10-20 days. 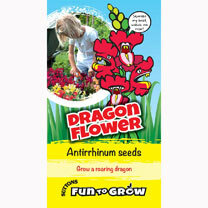 Transplant your seedlings 5 cm apart in seed trays and grow on. 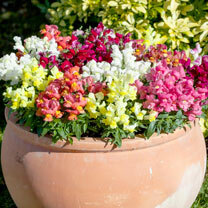 Gradually acclimatise the Antirrhinum plants to outside conditions before planting out 15cm apart in a sunny position.